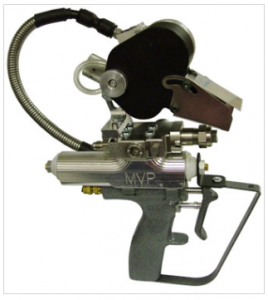 Did you know – low pressure guns – such as the MVP Pro Gun significantly reduce emissions and porosity? If you’re fed up of material misting away or evaporating into thin air the MVP Pro Gun is for you – ensuring that larger amounts of material reach the intended application surface. Contact us for more info on our fantastic selection of guns.